"Is housing an investment or a human right?" That is the topic of the "Sold! 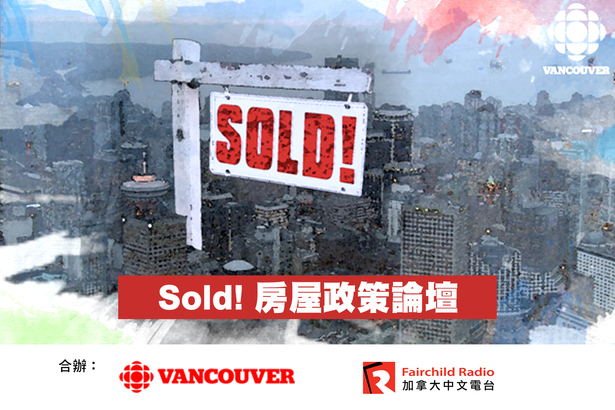 Housing Forum" organized by CBC Vancouver and Fairchild Radio. The free event will take place on May 9 (Wed) from 7:30pm to 9pm at Richmond's Brighouse United Church (8151 Bennett Road). Stephen Quinn, host of CBC Radio One's "The Early Edition" will be the moderator, and Mandarin and Cantonese translation will be provided. Come to voice your opinion! Free registration at soldforum.eventbrite.com.